This morning, after my exploration of Borough market, I was pretty exhausted and overwhelmed, and in dire need of food! 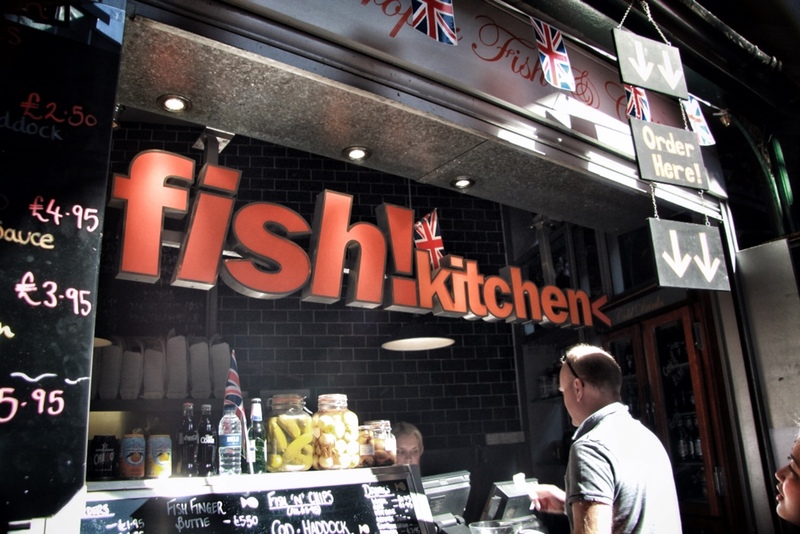 I ended up choosing to go with Fish!Kitchen, a nearby takeaway place whose line stretched for ages. I figured it was a good bet that they would have some pretty incredible food, given that they had a huge line outside of one of the best food markets I had seen yet. Fish!kitchen's fish and chips were simple , efficiently made, and utterly delicious. 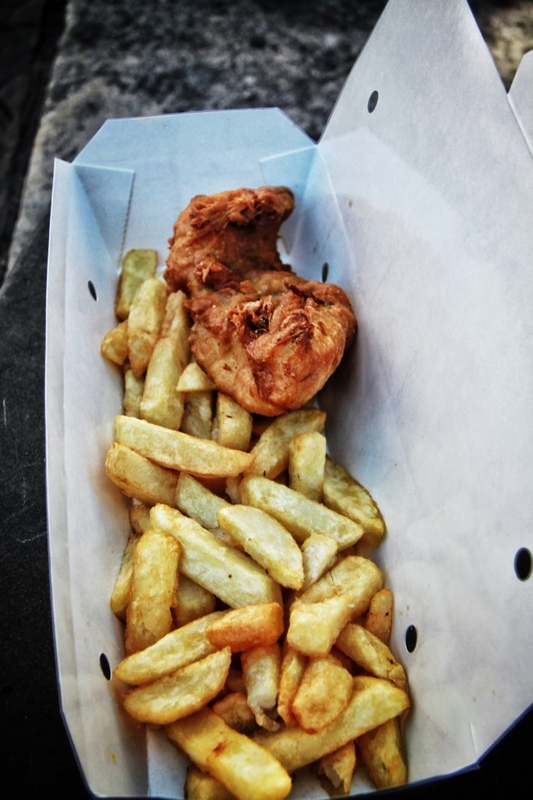 Fresh from the fryer into a narrow, well-designed box, the fish was golden and the chips were steaming hot. The cooks then asked me if I would like my fish and chips topped with vinegar and salt, which was an obvious yes. I grabbed my box, and went in search of somewhere to sit. The fish and chips exceeded my expectations once I finally sat down in the nearby church's courtyard to enjoy the spoils of my questing. It was a phenomenal batch of food to eat. First, the fish. The beer-batter encrusted haddock was a substantial piece of fish, and fried perfectly. I would say this was the best batter I have encountered so far, perfectly delicate and light, yet crisp and flavorful. The fish tied The Golden Hind for freshness and flavor. It was cooked perfectly, pure white, and incredibly flakey. The vinegar and salt soaked in nicely, adding a nice aftertaste to the meal. The chips were the best I have encountered thus far in this quest of mine, just edging out The Golden Hind's offering. They were nicely crisped, fresh, and the ideal amount of vinegar and salt made them simply pop with flavor. Paired with the fish, it was an incredible side. Sadly, it was the only side I got this time, as adding mushy peas was a relatively costly endeavor, and I didn't want to waste money if the food was not high quality. A return trip will see me getting them to fill out the experience. Overall, Fish!Kitchen offers a great fish and chips. 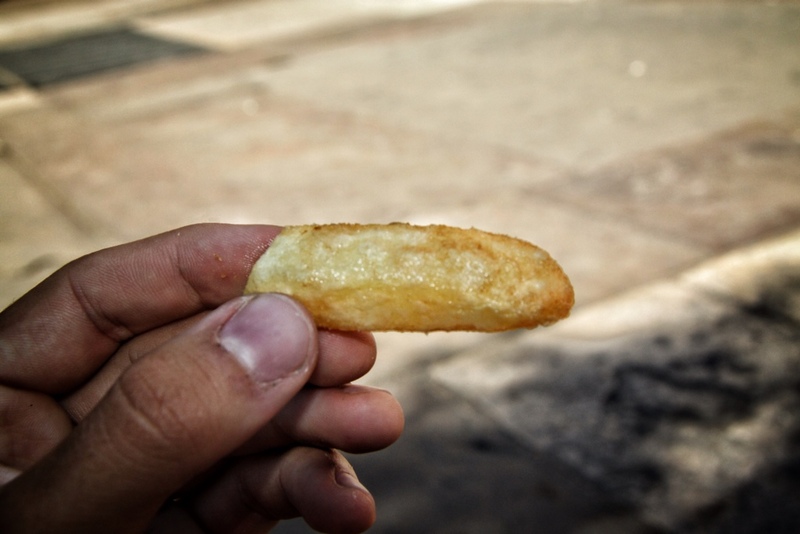 An incredible beer batter and quality chips help it stand out. However, the overall fish and chips crown (which I decide based on food quality, service, atmosphere, experience, cost, batter, sides, appearance, etc.) 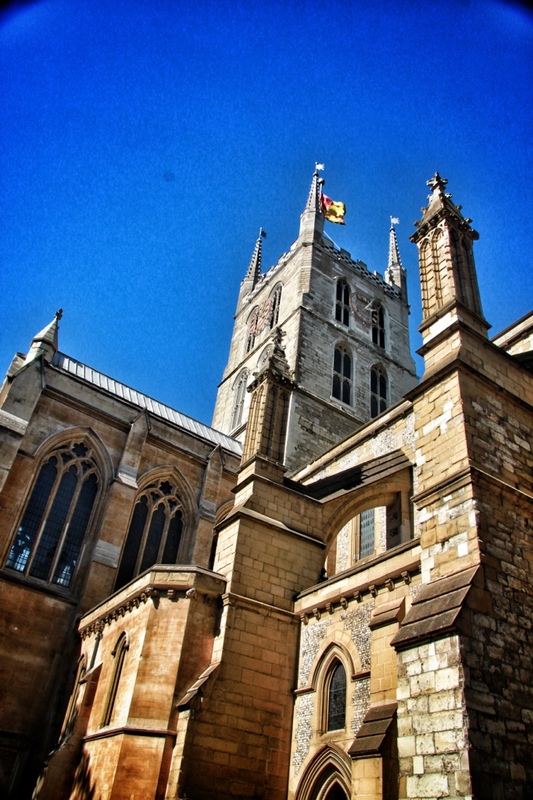 still belongs to The Golden Hind. 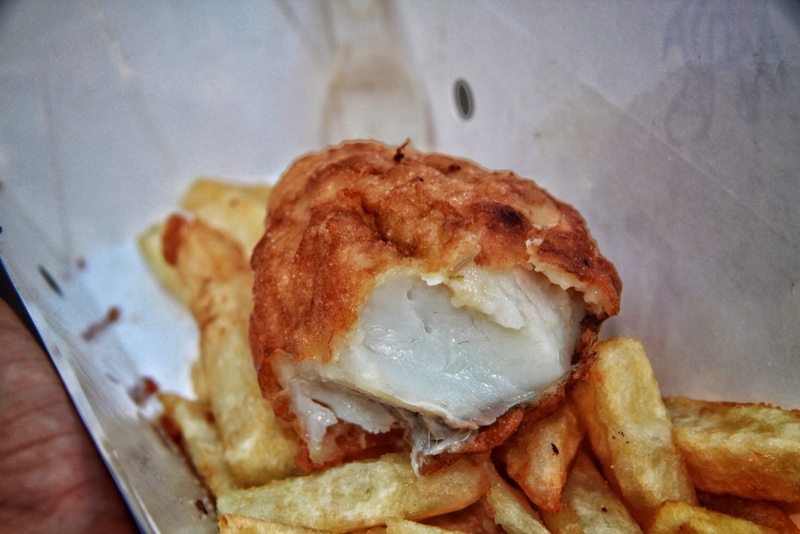 Sounds as if you have two winners for the “Best Fish N Chips” category! Nice to have a choice. Looking forward to hearing about your next winner… my mouth is watering already! I miss fish and chips…this bought a tear to my eye! YUM!